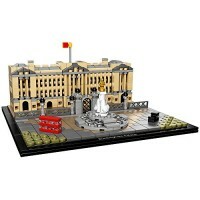 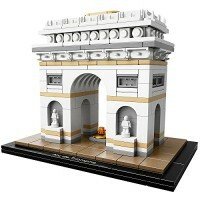 Construct a detailed LEGO brick model of the world-famous Trevi Fountain, the largest fountain in Rome. 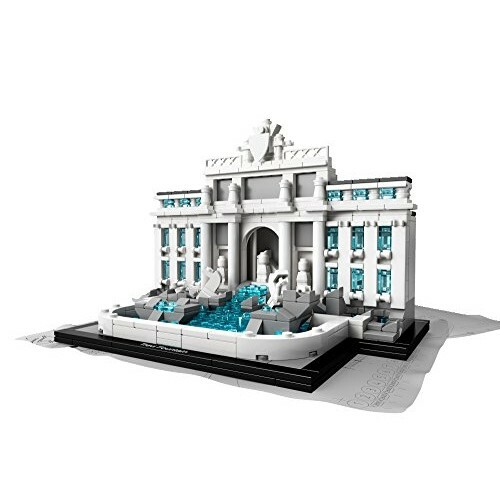 Designed by Nicola Salvi, the 'Fontana di Trevi' took 30 years to build and was completed by his friend - the sculptor, Pietro Bracci - in 1762, 11 years after Salvi's death. 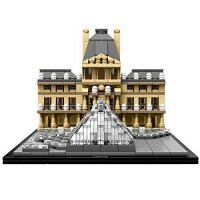 This stunning Baroque monument carved from Travertine stone has been the backdrop for many classic movies, including Federico Fellini's La Dolce Vita. 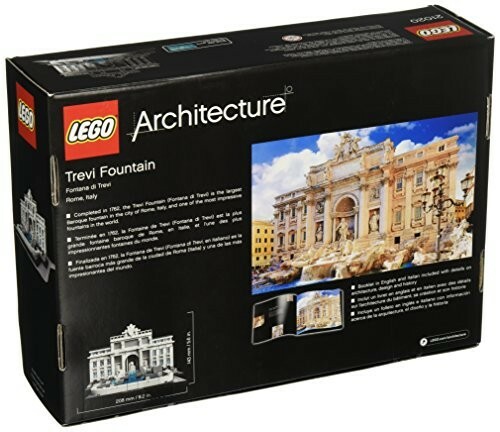 And, today, over 250 years later, the 49-meter-wide fountain still draws thousands of visitors to the small Trevi square. 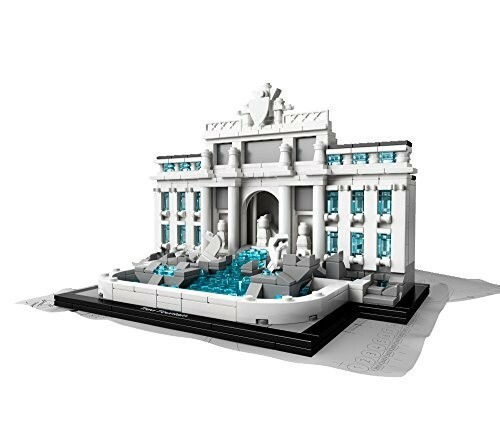 The intricate LEGO model of this iconic symbol of Rome incorporates features such as the facade of the Palazzo Poli, the statues of Ocean, Abundance and Health, plus translucent blue water-effect LEGO bricks. 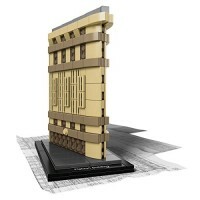 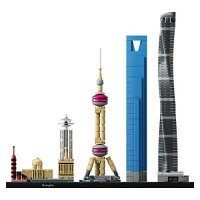 This LEGO Architecture Landmark Series interpretation of the Trevi Fountain was designed by artist Rok Žgalin Kobe in close collaboration with the LEGO design team. 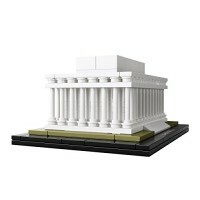 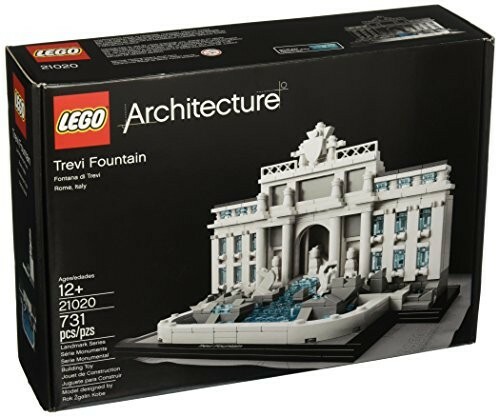 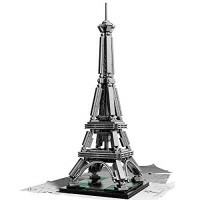 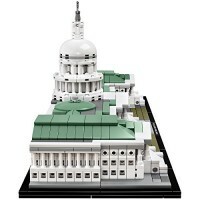 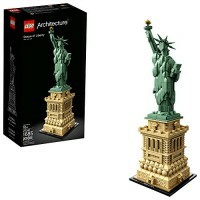 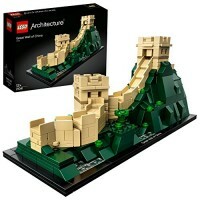 Dimensions of package 0.0752" x 0.1031" x 0.0283"
Write your own review of Trevi Fountain Building Toy by LEGO Architecture.